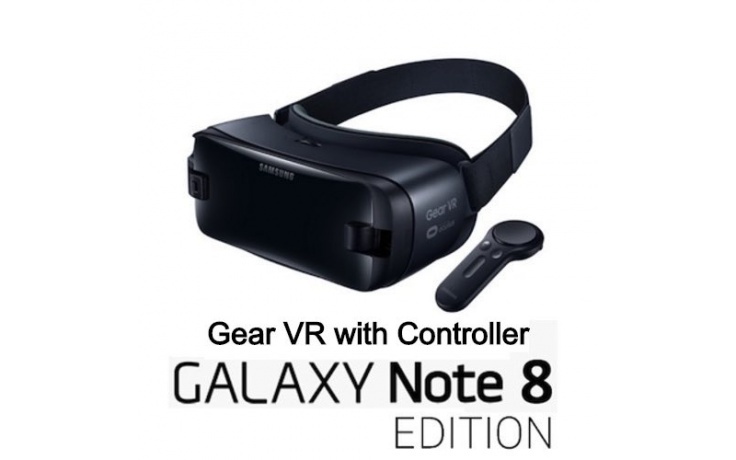 The latest Samsung Gear VR headset lets you experience virtual reality on the Galaxy Note 8, along with most other recent Galaxy smartphones. Jump into the world of Virtual Reality gaming and an awe-inspiring cinematic experience with the Samsung Gear VR. Just slide in your GALAXY smartphone, and you're in. Explore new lands and see magical landscapes with the wide 101° field of view through the large lens. The stable and precise head tracking via the built-in gyro sensor and accelerometer makes for smooth expeditions. With the Gear VR, you'll find it hard to run out of things to do. The range^ of games, apps, and experimental experiences on the Gear VR means exploring what's available is just part of the journey.